The Israeli occupation authorities on Sunday announced a plan to build new settlement units and roads in Nigot settlement established on Palestinian lands west of Doura town in al-Khalil province. 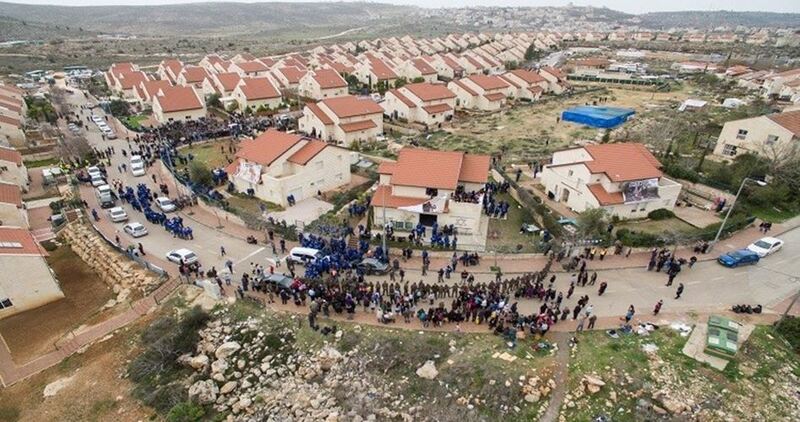 According to a detailed plan published on Israel’s Interior Ministry’s website, the project, overseen by the Settlement Division of the World Zionist Organization, will be implemented on an area of 291 dunums and will involve the construction of 102 housing units. The Palestinian researcher at the Land Research Center Rajeh Talahmeh, during an interview with Quds Press, warned of an Israeli settlement scheme targeting the western area of Doura town. Talahmeh said that the Israeli authorities have recently erected caravans and started the construction of a new road near Ifqeiqis village to pave the way for the new project. 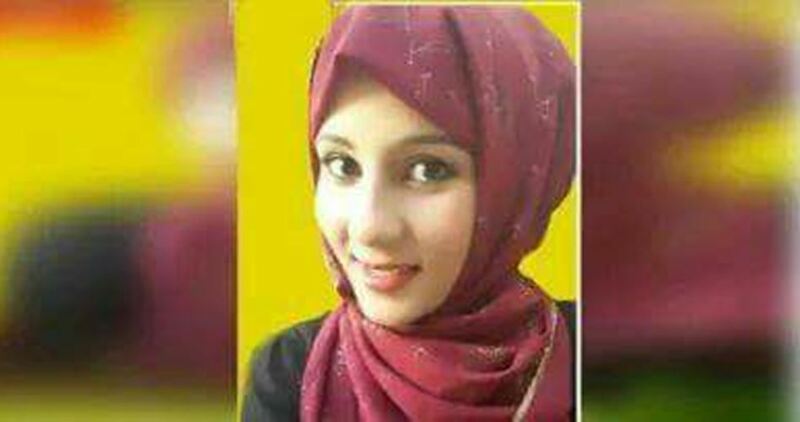 Israeli court sentenced on Monday the Palestinian prisoner Jiana Hayawi, from occupied Jerusalem, to 22 months imprisonment with a fine of 4,000 shekels. Hayawi’s trial was postponed more than once pending investigation. The 22-year-old Hayawi was detained in April 2017 at Qalandia checkpoint for alleged knife possession. Since then, she was subjected to tough investigation for nearly a year. The Israeli occupation forces have detained scores of Palestinians, many of them were minors, for allegedly holding knives in their possession following the outbreak of Jerusalem Intifada in October 2015. Rights groups have documented a number of cases that Israeli soldiers planted knives on slain or imprisoned Palestinians to claim that they were acting in self-defense during a stabbing attack. Forty-three Palestinians were seized by occupation forces throughout the occupied West Bank and Jerusalem in overnight raids by Israeli occupation forces on Monday, 26 March. Those seized by occupation forces include Abdullah al-Nayef of Dheisheh camp, who was shot in the leg by occupation forces and is currently hospitalized. Nayef is a former Palestinian prisoner and youth activist. Dheisheh camp is where the infamous Israeli so-called “Captain Nidal” has repeatedly threatened youth of the refugee camp through text messages and phone calls, sending threats of injury or even death to young people and their families. A policy of shooting young Palestinians in the legs in Dheisheh has led to widespread injuries and disabilities. 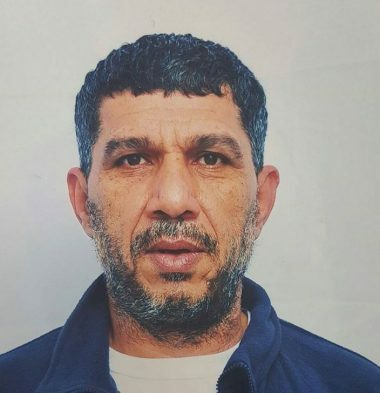 This policy was also seen in the killing of Palestinian youth activist Raed al-Salhi by occupation forces who shot him down at the same time that they shot fellow Palestinian prisoner Abdel-Aziz Arafa in the leg. The violent attack and arrest was reportedly carried out by “mustaribeen,” the infamous Israeli forces who disguise themselves as Palestinians and who have conducted several recent attacks on prominent local Palestinians in Dheisheh and throughout the Bethlehem area. Meanwhile, in the town of Issawiya, north of Jerusalem, occupation forces seized nine people, including a couple, Amna and Bassel Mahmoud. Also seized by occupation forces were Mu’min Mahmoud, Mamoun Mahmoud, Haitham Obaid, Hussein Obed, Mohammed Ahmed Attiya and Daoud Yousef Attiya. In Anata village, they seized Uday Raed al-Jamzawi, Walid Wajih al-Jamzawi and Ahmed Akram al-Yassini, while in Jenin they arrested Uday Bajawi and Mahdi Abu Hassan, a former prisoner. In al-Khalil, occupation forces arrested Ehab al-Rajabi, and they also seized Hamada Amin Shaath, Mohamed Nael Salama and Mahmoud Qatawi from Kfar Saba in Qalqilya. The Israeli army fired, on Sunday evening, many artillery shells at targets in the northern part of the Gaza Strip, after the Israeli Iron Dome Missile Interception System mistook bullets fired by the Al-Qassam Brigades, the armed wing of Hamas, for missiles. Fighters of the Al-Qassam Brigades were holding what was described a large-scale live fire training, west of Beit Lahia, in the northern part of the Gaza Strip. The Israeli army initially claimed that its “Iron Dome” system intercepted a barrage of missiles reportedly fired from Gaza, but later admitted the system mistook bullets fired by Al-Qassam in its training ground, with missiles. Abu Obeida, the spokesperson of the Al-Qassam Brigades said his group did not fire any missiles or bullets into nearby Israeli settlements. He added that Israel’s Iron Dome system went off, although the bullets fired during training were not directed at any Israeli target and held Israel responsible for this escalation. Official sources told Quds Press that Abbas intended to take more punitive measures against the Gaza Strip but several parties, including Egypt, asked him not to carry out his plans. The PA is likely to continue running civil services in the Gaza Strip, including the health and education sectors and Hamas would continue running the security sector, the sources added. Reconciliation efforts are failing, Fatah officials told Quds Press, “because Fatah wanted one political system, while Hamas insisted on a functional division”. The Palestinian reconciliation has been facing major obstacles and the attack on Hamdallah’s convoy in Gaza early this month further curtailed efforts to bring Fatah and Hamas together. Israel’s Iron Dome anti-missile shield was launched on Sunday against Palestinian machine gun fire originating in the Hamas-dominated Gaza Strip, and not against incoming militant rockets, the Israeli army said. 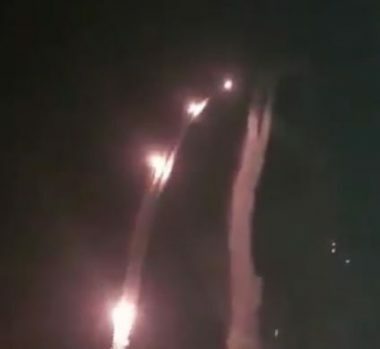 Flaming streams of about 10 Iron Dome rockets could be seen rising into the night sky in a spectacular light show, but there was no indication that Islamist militants in Gaza had fired rockets, a military spokeswoman said. Abu Ubaida, spokesman of the Hamas armed wing, said no rockets were fired into Israel. Earlier, Israeli media had reported that Iron Dome had intercepted a number of rockets fired from the Gaza Strip. Sirens had sounded around the border area in Israel and smart phone applications that warn of incoming rockets delivered a number of alerts in quick succession. During the Gaza war in 2014, Iron Dome interceptors largely protected Israel’s heartland from thousands of incoming rockets fired by Gaza militants. Israeli media said Sunday’s multiple launchings were the most intense since then. Heightening tension around the border, Hamas began a military exercise on Sunday in which its fighters set off explosions and test-fired rockets into the sea. Gunfire echoed across Gaza as hundreds of fighters were deployed for the exercise, which is due to continue on Monday. “The enemy (Israel) bears responsibility for any escalation and we will not stand handcuffed against any aggression,” Abu Ubaida said in a statement. The army’s statement said that, in response to the machine gun fire into Israel, a tank targeted two observation posts in the northern Gaza Strip. It said it held Hamas responsible “for any terror emanating from the Gaza Strip”. Palestinian residents of Beit Hanoun said the tank fired two shells into their area at about the same time of the Iron Dome launches, but that there were no casualties. An official in the Syrian Coalition said that the mass forced displacement taking place in the Damascus suburb of eastern Ghouta is a “war crime” as he condemned Russian’s major role in these crimes. Secretary of the political committee Mohammed Yahya Maktabi said that regime forces, the Iranian militias, and Russian air force are killing civilians, targeting popular markets, residential areas and public facilities and bombing hospitals, medical centers, and rescue workers. Maktabi stressed that Moscow bears primary responsibility for these crimes as it strengthened the culture of rebellion against international legitimacy and UN resolutions. Russia also refused to implement the recently adopted international resolution 2401 demanding a ceasefire and the delivery of humanitarian aid to those in need. Maktabi warned that the humanitarian tragedy unfolding in Syria will continue should the United Nations continue with its failure to assume its duty to protect civilians, hold war criminals accountable, chiefly among them Bashar al-Assad, and implement international resolutions. He underscored that the United Nations should take urgent action meeting the aspirations of the Syrian people for freedom and dignity. The number of structures demolished in Bedouin Palestinian communities in Israel nearly doubled in 2017 compared to the previous year, according to a report in Haaretz. Official government data for 2017 revealed that 2,220 structures were demolished overall, compared to 1,158 in 2016. More than 70 per cent of the destroyed structures were demolished by the owners themselves, so as to avoid the “heavy financial penalties” imposed on them by occupation forces if Israel completes the demolition. Bedouin Palestinian citizens of Israel, largely located in the southern Naqab/Negev region, say that they are being subjected to “behind the scenes” pressure and threats by authorities, reports Haaretz, leading people to demolish their own homes and other structures. Haya Noah, director of the Negev Coexistence Forum for Civil Equality, told the paper that “the threats and pressure have their effect”. “They’ve [Israeli authorities] developed a mechanism of intimidation that makes in unnecessary to file suits afterward,” she said. Haaretz says that the 2017 figure for demolitions “is the highest since the state started keeping track in 2013”. The structures demolished include not just homes, but also gates, sheds and other agriculture-related structures. Israeli authorities have refused to “legalise” dozens of Bedouin Palestinian communities in the Negev, and restricted the ability of “recognised” communities to naturally grow. The Inter-Parliamentary Union (IPU) passed a resolution in support of Palestinian rights yesterday, at its 138th session in Geneva. According to reports, the IPU voted in favour of a resolution introduced by Palestine, Kuwait and Bahrain, condemning US President Donald Trump’s recognition of Jerusalem as Israel’s capital. The Jordanian representative was also reportedly involved in lobbying for the motion. The IPU is a forum made up of representatives from the national legislatures of 176 countries. A resolution introduced by Israel, meanwhile, condemning “Iran’s malign activities”, did not pass. Israeli media said that the Palestinian delegation’s success at the IPU came “despite Israeli efforts”, with Members of Knesset “work[ing] all weekend” and “meeting with representatives from Argentina, France, Russia, Mexico, Canada, Brazil and other countries”. However, the Jerusalem Post noted, “in the end, the Palestinian effort succeeded and the Israeli initiative was voted down”.